Sicilian Inspector Salvo Montalbano ponders a tricky question: What’s the connection between a dead sexual athlete and an elderly neighboring couple? When Nenè Sanfillipo is shot outside his Vigàta home, the police question everybody in the adjoining apartments—everybody, that is, except Alfonso and Margherita Griffo, the retirees upstairs who’ve gone missing shortly after a bus tour to nearby Tindari. Further investigation reveals that Nenè had a reputation among his neighbors as a sexual athlete and that the Griffos may never have returned from that bus trip. It can’t be a coincidence, thinks Montalbano; there must be a link. Before he and his motley subordinates can connect the dots, however, he’s summoned to a meeting with Don Balduccio Sinagra, head of a local crime family, that promises serious distraction. The don is convinced that his grandson Japichinu, gone into hiding and suffering from tuberculosis, would be better off in the hands of the caribinieri than on his own, at the mercy of any rising members of the New Mafia who might come across him. So Montalbano, without ever saying he’ll do so, agrees to take Japichinu into custody. 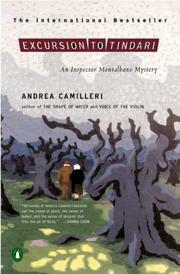 Readers familiar with his first four cases (The Voice of the Violin, 2003, etc.) will expect twists to follow, though they’ll probably still be surprised in the end. From the leisurely opening movement to the final clatter of revelations, Camilleri presents Sicily with humor and without illusions.